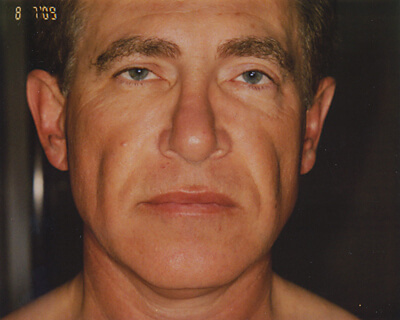 Prior to the evolution of the current “off the shelf” fillers (Restylane, Juvederm, Radiesse, Sculptra, etc.) 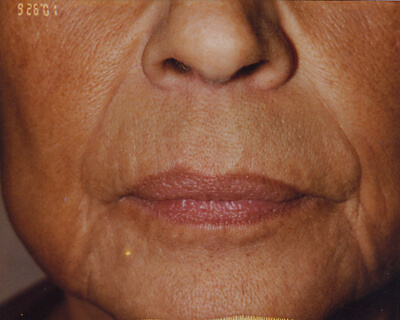 there were few options available to “volumize” or fill in defects in the skin, enhance skin folds, and improve skin wrinkles. Fat was, and still is, used for this purpose. In the mid 1980’s fat removed from a new cosmetic procedure called liposuction, was placed in syringes and injected back into the same patient to improve the areas mentioned above. Initially, the results were quite variable. 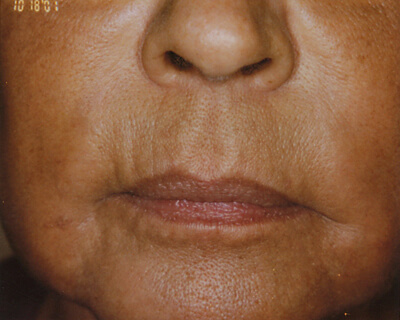 As with all new procedures however, fat injections became more and more reliable and predictable as time passed. Injecting micro quantities of fat, developing better purification techniques for fat cells, and more gentile handling of the fat prior to injection, resulted in a much higher success rate. We now know that fat is an amazing reservoir of stem cells which in part explains fat’s success as a filler and in correcting both age related as well as congenital, traumatic, and illness driven skin defects. Your cosmetic surgeon will first obtain a complete medical history focusing on any diseases or problems which could alter fat survival. The exam itself is focused at the areas you wish to enhance as well as the source (donor site) from which the fat is harvested. This leads to surgical planning in terms of the quantity of fat that will be harvested as well as consideration of the number of injections needed to complete the task. 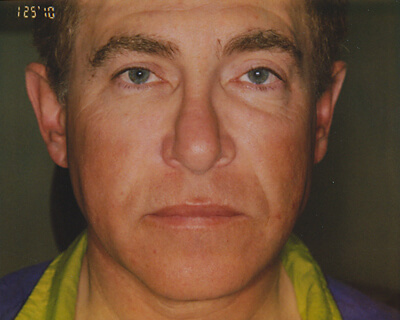 Some individuals need between 1-3 injections over a 12 month period. In most cases more fat is harvested than is needed for the initial injection. This fat can be frozen for up to one year, using it for any subsequent injections within that 12 month period. Anesthesia options are discussed. These include pure local anesthesia, to full general anesthesia. Photographs are typically taken at this time as a record to determine success or failure. The surgeon will discuss the procedure itself, the recovery, risks, and complications along with giving you written instructions regarding your pre-operative tasks. As needed, blood work, history and physical, and EKG, will be ordered to insure you are in prime health for the surgery. Most patients are started on an oral antibiotic and a short course of Prednisone. The surgery is performed in a state licensed, nationally accredited surgery center typically under tumescent local anesthesia with both oral and IV sedation. The donor site and areas determined to receive the fat injections are outlined with a marking pen. The areas are cleansed with an antiseptic, numbed to a pain free status, and fat is harvested in an atraumatic fashion. The fat is then cleaned and isolated into pure fat cells. These are placed in syringes and injected into the recipient sites. The extra fat is placed in syringes, then in sterile bags, and frozen for future use if necessary. The small puncture sites used to both harvest and inject fat are either left open or closed with one small dissolving stitch. Compression dressings are applied. Full written post operative instructions are given, but there is very little care afterwards. There is usually drainage from the donor site for several days. Bruising and swelling are to be expected and last several weeks. Pain is moderate and controlled easily with prescription pain relievers. There is no suture removal. The final results will take 3 months to a year, as we do not expect all of the transferred fat to survive. As mentioned previously, additional injections may be required. Complications are rare, however, there are certain inherent risks connected to every surgical procedure and these should all be discussed with your surgeon prior to the procedure. All complications can be minimized by carefully following all of your doctor’s pre and post operative instructions.